$40.45 per customizable Rickshaw Bags® iPad sleeve. 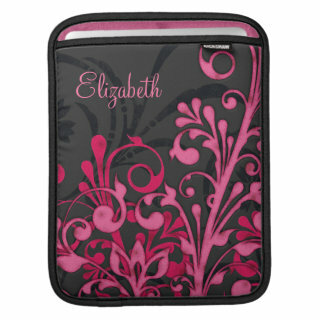 Hot pink and black abstract floral personalized Rickshaw laptop sleeve. You can personalize the name using the personalize option or make more extensive changes using customize it! An elegant and pretty girly design.